Scribestar is committed to revolutionising the way law firms, investment banks, accountants and other companies manage their capital markets documents. To do that, of course, it’s important that we can reach out to those businesses who will most benefit from the Scribestar platform. We’ve recently welcomed a new team member, Paul Levy, who’s going to spearhead this campaign for us. Paul has a fantastic history in business development and knows the legal market inside out, having been responsible for a portfolio of 90 firms in his last role as Business Development Manager at EG. He fits perfectly into our organisation thanks to his knowledge of the sector and his desire to innovate to improve it. 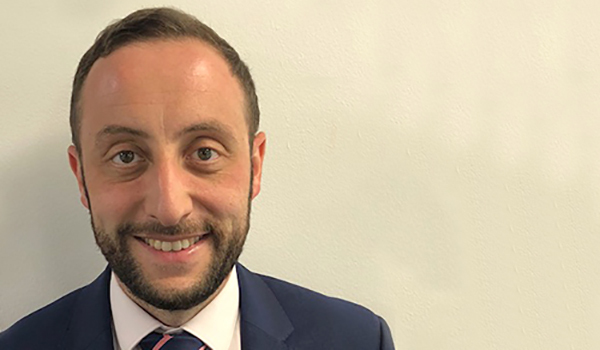 Paul’s previous experience as Sales Manager at Thomson Reuters also demonstrates his commitment to business growth – we couldn’t ask for a more motivated and skilled addition to the Scribestar team. 1. What will your role at Scribestar entail? My role has a new business focus which means I’m charged with finding and engaging new law firms who service Capital Markets clients, along with building and maintaining long term relationships with our own clients. I joined because of the opportunity to work at an exciting and innovative company that has developed a product that solves numerous problems for busy Capital Markets fee earners. The role was too good for me to consider turning down. 3. What is your previous experience within the industry? I’ve been working in the law firm space for over ten years, having worked at Practical Law (now part of Thomson Reuters) for over 8 years. Most recently, I was looking after Magic Circle and large law firms for EG (part of Reed Business Information). 4. What were your thoughts about Scribestar prior to joining? I thought that it was a really exciting opportunity; this is an unexplored space and it gives me a great platform to use all the skills, knowledge and connections I’ve built up over the years and put them all to good use. 5. What values / qualities can our clients expect from you? Honesty and transparency are two of my key traits. Additionally, I’m a consultative Account Manager, which means I’m keen to understand my client’s challenges so that I can help them to overcome them. I’m a good communicator and, since not all clients’ needs and challenges are the same, it’s important that I’m adaptable to every situation. 6. Your thoughts on why the Legal Industry should adopt new technologies. The legal industry is very traditional and law firms have long established methods, but there is so much inefficiency with some of those methods. Now innovative technology exists to improve these methods and help reduce stress, mitigate risk, save clients’ money and produce a more streamlined and effective practice. It’s an all-round win-win and the more technologies they bring into their practices the better things will be.